You are here: Home / Mac / Mac OS X Mountain Lion Is Coming: Be Prepared! 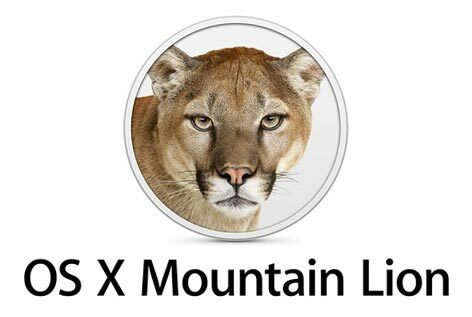 Mac OS X Mountain Lion Is Coming: Be Prepared! 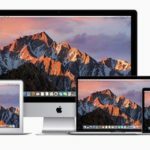 Apple recently announced at the WWDC in San Francisco, that the new major leap forward for Mac OS X, will be released ‘somewhere’ in July. Mac OS X Mountain Lion (10.8) is really a huge step forward and everyone is eager to get a copy of the final release. While waiting for the big day, you can do something else: check your current system, clean it, make a backup and be prepared for D-Day! The next big step for everyone who uses an Apple: Mountain Lion is coming with tons of new features like the updated iCloud, Reminders, Notes, Messages, Dictation, Sharing, deeper Facebook and Twitter integration and of course the long awaited Notification Center where you can see in one eye what’s new on your Mac. Mac OS X Mountain Lion will be released later this month and will only be available in the App Store. Since the release of Mac OS X Lion, no DVD’s are used anymore to deliver the OS. Update will be available for $19.99! 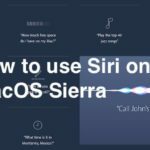 While you are waiting for the new OS appearing in the App Store, it could be a good thing to prepare your Mac for the big day. Now is the time to clean, wipe, backup, and throw away some unused stuff. If your Mac is in the list: Congratulations! 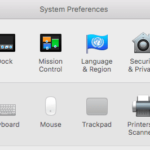 If your previous OS is Lion or Snow Leopard, you can install Mountain Lion directly on your system. If you have an OS that is older than Snow Leopard, you must upgrade your system now to at least Snow Leopard. Check all your files if they are still useful on the computer. Programs you haven’t used for ages, old podcasts and do not forget the download folder that is normally stuffed with unused things and duplicates. If you don’t use it, get rid of it! You will be surprised how many Gigabytes you will save during a good and old-fashioned spring-cleaning! You can hook up a hard disk on your computer and use Time Machine to perform the backup. You can find a complete manual of Time Machine here. Once you setup Time Machine, backup will be done automatically every hour without any interference from your side. Making a backup at home, and leave it at home, is a good precaution when something happens to your computer. But what is your house is burned down: Besides the house, the computer and the backup is gone. It is wise to make a backup in the cloud also, next to the local backup. You can use Carbonite or Mozy for automated backups in the Cloud. If you want to choose by yourself what goes in the cloud, than you can use a service like DropBox. Current problems, great or small, can result in strange behaviors when you do a major update like this one. The main concerns are always permissions and authentication. 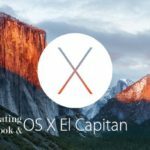 There are a lot of commercial products that can do that for you, but Apple’s Disk Utility should do the trick for now: Boot your Mac into Safe Mode by holding down Shift while starting up. 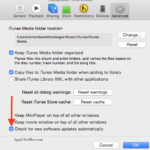 Then use Disk Utility to check the hard drive for errors and fix permissions on the boot drive. Well, if all the steps are well done, you are ready for the big day. 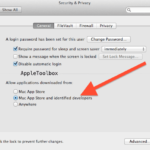 Keep an eye on the App Store or on AppleToolbox to be notified when Mac OS X Mountain Lion is available for download!